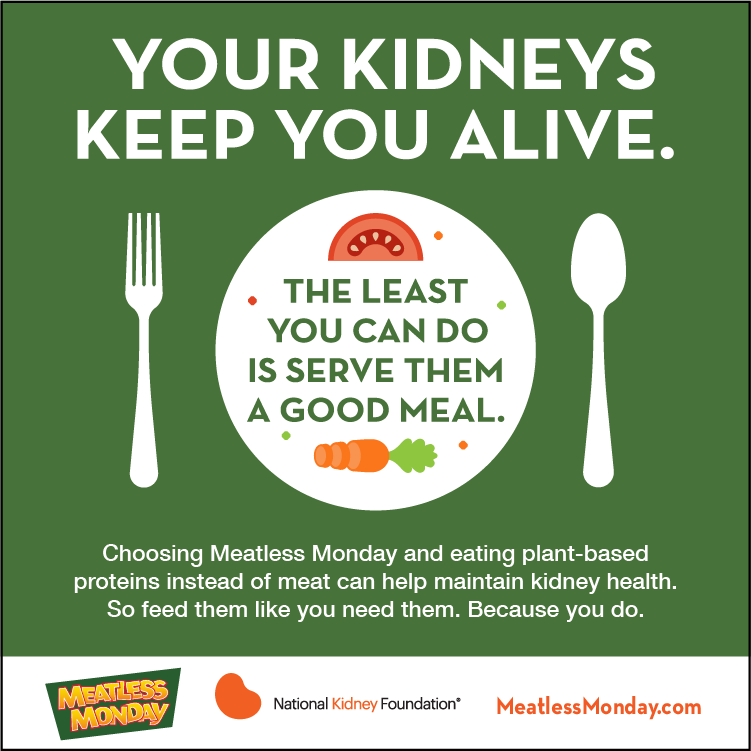 Eating more plant-based foods such as vegetables and grains in place of animal-based foods such as red meat may help prevent and slow the progression of chronic kidney disease, Type 2 diabetes, high blood pressure, and heart disease. 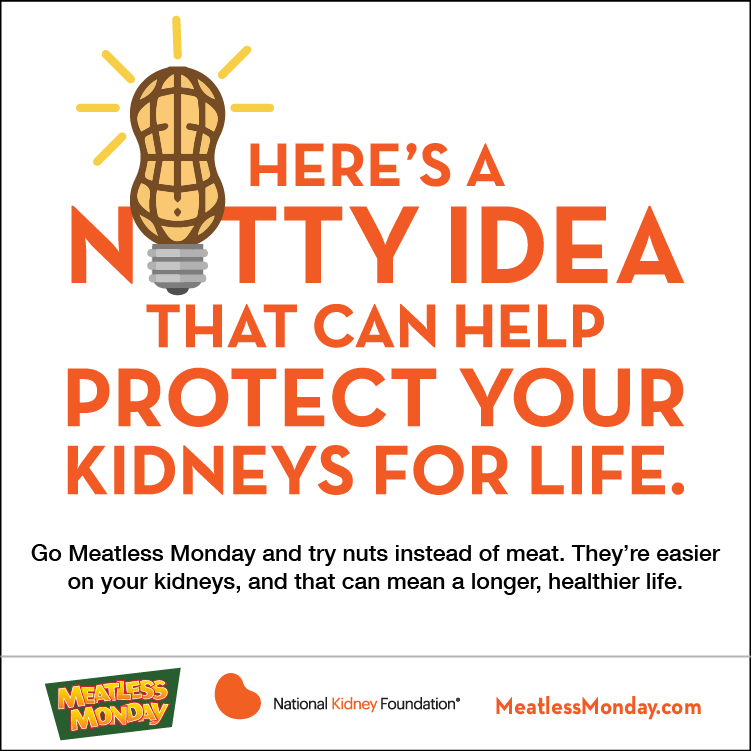 Studies show that eating whole grains, nuts, fruits and vegetables is one of the most important ways to keep kidneys healthy. 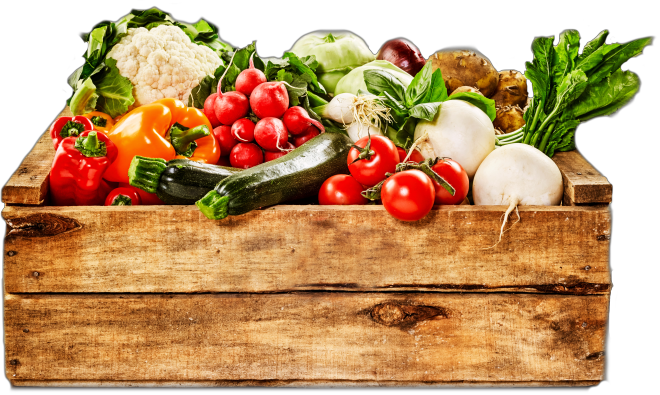 Starting a plant-based diet does not mean that you need to become a vegetarian and cut all sources of animal protein from your diet. 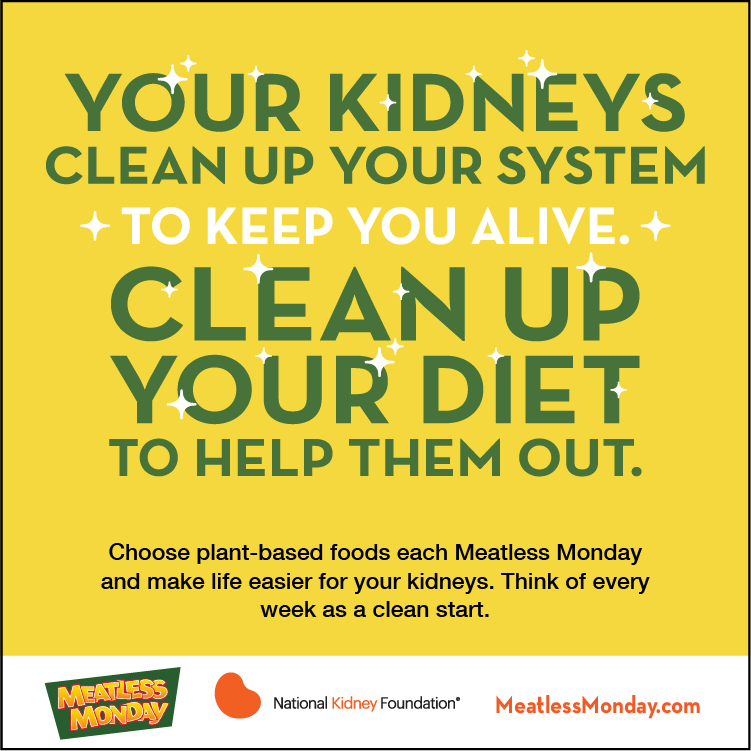 With guidance from a registered dietitian nutritionist (RDN), a carefully planned plant-based diet may be helpful in the setting of kidney disease, depending on a patient’s specific needs. 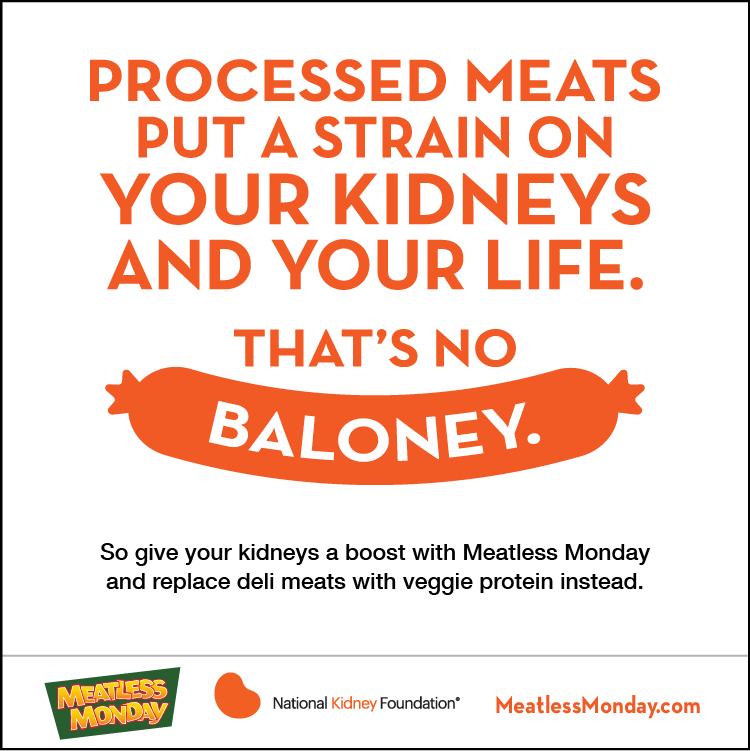 Want an easy way to start eating less meat? 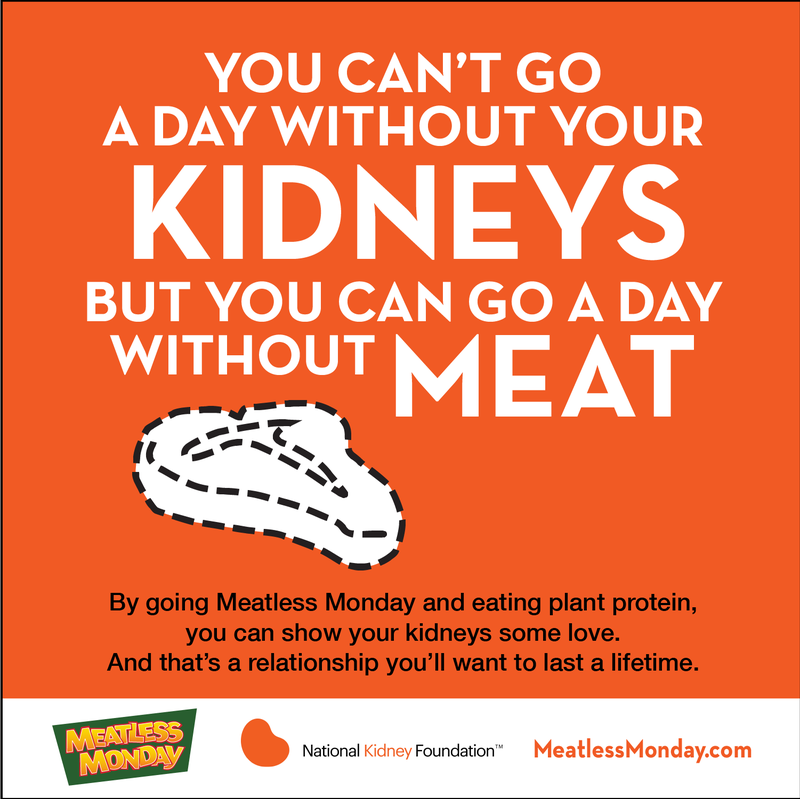 Go Meatless Monday every week, and get regular tips and recipes by following #MeatlessMonday and learning more at MeatlessMonday.com. 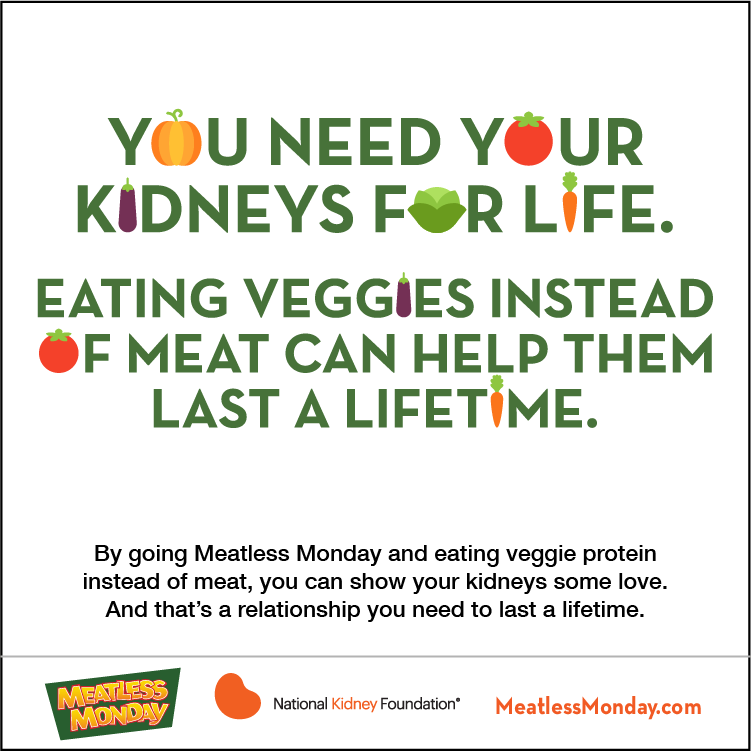 Meatless Monday by sharing our free graphics. Right click then save the images below for the full-size graphics, or download the whole set by clicking here.